Special Issue, Leaders, Crisis Behavior, and International Conflict, Journal of Conflict Resolution, Volume 62 Issue 10, November 2018. Demokratizatsiya: The Journal of Post-Soviet Democratization, Armenia’s Velvet Revolution: A Special Issue, Volume 26, Number 4, Fall 2018. Kaitlen J. Cassell, John A. Booth, and Mitchell A. Seligson, ‘Support for Coups in the Americas: Mass Norms and Democratization’, Latin American, Politics and Society, Volume 60, Number 4, pp. 1-25. Ebenezer Obadare and Adebanwi Wale (eds.). Governance and the crisis of rule in Africa: Leadership in transformation, London: Palgrave Macmillan, 2016. Sergey Aleksashenko, Putin’s Counterrevolution, The Brookings Institution Press, located in Washington, D.C, 2018. This entry was posted in Africa, Armenia, Latin America, New publications, Russia, Turkey, United States of America and tagged new publications on November 22, 2018 by Robert Elgie. During the annual state-of-the-nation Address to the Belarusian People and the National Assembly on 24 April 2018, President Aliaksander Lukashenka fiercely rejected the notion that a referendum to amend the country’s 1994 Constitution was imminent. Belarus’ long-time ruler accused the foreign-funded press of peddling constitutional amendments. Opposition politicians calling for a referendum just wanted to provoke a fight and eventually a Ukrainian Maidan. Acting “against the People” by holding a referendum “tomorrow” could lead to the worst-case scenario, “just like in Armenia”, Lukashenka argued. The day before, on 23 April, the Armenian Prime Minister Serzh Sargsyan had resigned in the wake of street protests later called the Velvet Revolution[i]. Lukashenka’s lengthy digression into the intricacies of constitutional politics in the course of his Presidential Address is remarkable. Insofar as it had been precisely Lukashenka – and not the opposition which has been forced into a permanent state of “ghettoization”[ii]– who has been talking about the need to amend the current constitution – or even pass a new one – for the past four years. What does explain Lukashenka’s flirtation with potential constitutional amendments which peaked in the first months of 2018 until mid-April, on the one hand, and the almost complete turnaround on 24 April, on the other? After all, his current presidential powers are virtually unconstrained, and the term limit was abolished after the 2004 referendum on the constitutional amendments, which turned him in a de facto president for life. Moreover, aged 63, Lukashenka is still relatively young compared to other post-Soviet leaders for life: Kazakhstan’s Nazarbaev, for example (just as Uzbekistan’s Islam Karimov when he died in 2016) aged 78, is 15 years older than the Belarusian leader. In other words, even if we accept that authoritarian leaders outside of monarchies with hereditary succession rules, or without a hegemonic party such as Mexico’s PRI or China’s communist party with institutionalized rules for rotation, need to take care of succession for the sake of their own safety, there is no obvious reason why the succession issue was that urgent as to justify the frequency of references with regard to the Constitution. Therefore, one might assume that the Belarusian Constitution does have a particular function even though it does not limit executive power and has been violated on numerous occasions. It can be argued that just as in comparable authoritarian regimes,[iii] the Belarusian Constitution has information-related properties which contain a political vision, which defines the nature of the political community, and therefore shapes the identity of the community’s members by signaling and disciplining allies and opponents of the autocrat. [iv] Judging by the discourse on the Constitution in the past four years, there are several tenets at the core of this political vision: the supremacy of the presidency in all spheres touched upon in the Constitution; state sovereignty with regard to the outside world including neutrality in foreign policy, while maintaining constitutional order and stability in domestic politics; Belarus as a social state which guarantees social rights in a paternalistic way, but places the needs of the state and political community over those of the individual; and sovereignty of the people who need to be consulted (at least formally) by referenda if any substantial change was to be probed. However, given the external pressure of a volatile and fast-paced geopolitical environment, and the stalling, or even the end, of the Belarusian model of economic growth[v], Lukashenka and other state actors have recognized that adapting to ever-changing circumstances was necessary. In the course of the past years, Lukashenka has built up public expectations that sooner or later, constitutional amendments were inevitable. On the 20thanniversary of the Constitution on 15 March 2014, for instance, Lukashenka declared that Belarus had fully “established itself as a sovereign state” by “realizing the aspirations of the Belarusian people of becoming the rightful masters of their home country”. At the same time, “sooner or later, a new constitution needs to be adopted,” – he argued insinuating that the current Constitution is a document of Belarus’ “transitional period”. During his speech addressed to the members of Parliament on 7 October 2016, the head of state went even a step further by calling for the formation of a “group of wise men and lawyers to analyze the Basic Law”. Although in 2017 and early 2018, Lukashenka frequently mentioned how rapidly the world was changing and that the time asked for adaptations[vi] and “something new,” he never really expanded on whenand what kindof changes were expedient. Moreover, contradictions between the Constitution as theguarantor, core, and foundation of Belarusian statehood, on the one hand, and ever more frequent calls of the regime for amendments to this very pillar became increasingly evident. Discursively, Lukashenka attempted to dissolve this apparent contradiction by distinguishing between the “Constitution” and the “Basic Law” in reference to one and the same legal document. While the Constitution was this very pillar of stability and sovereignty, rhetorically, the Basic Law was not much different from ordinary laws: “We need to understand that law-making is an ongoing lively process. Like all laws and other regulations, it [the Basic Law] is a living organism which is bound to evolve and not to fall behind the pulsating life out there in the world”, he remarked during his annual meeting with the Constitutional Court’s judges on 15 March 2018. How pliable the official rhetoric was became most obvious in statements of Lukashenka’s mouthpiece Lidziia Iarmoshyna, the chairwoman of the Central Election Commission. In January, she conceded that the Constitution needed to be “modernized”, but this kind of “cosmetics” or “renovation” could only be tackled once the basic question of the overall “construction” was decided upon, of course, by the President. But on 28 April 2018, just after Lukashenka had excluded that amendments were to be launched any time soon, Iarmoshyna admitted that the Constitution contained “a lot of obsolete norms” but that stability was much more important than modernizing these norms as they do not harm and obstruct the Belarusian society. Also, no working parliamentary group or even a constitutional commission was set up to debate constitutional amendments or reforms in a systematic manner. Lukashenka did mention constitutional issues when addressing the Parliament, the Constitutional Court or the Central Election Commission, but separately. Naturally, this line of action retained the President’s full organizational and informational control over the process by preventing potential collective action or coordination among other state bodies with regard to discussing changes. The Constitution, therefore, served as an ideal issue to debate and signal a desire for evolution while any attempt of revolutionary change could be dismissed and blamed on oppositional and hostile foreign actors. Cementing the supremacy of the presidency? After the constitutional overhaul in 1996 and the abolishment of term limits in 2004, presidential power has been de jureand de factounconstrained. The position of the President above all other state organs is bolstered by a “theory of legal laws”[vii] propagated within the presidential administration and accepted in the judicial community. Laws were constitutional if they follow both the will of President Lukashenka and “the People”. They were considered unconstitutional and subsequently ignored by scholars if they did not. When swearing in Viktar Rabtsaŭ as new constitutional court judge on 2 February 2017, Lukashenko addressed a critique frequently put forward by Belarusian NGOs and international actors that Belarus needed a human rights ombudsperson. In his view, such a position would be entirely redundant, since the President should be the “main inspector” of compliance with human rights principles in the country. Following this logic, the Constitutional Court was ascribed a supportive, but not constraining or limiting function of the presidency. The law-making process is controlled by the Presidential Administration, and virtually all bills are initiated by the executive. Presidential decrees (dekrety, as opposed to the more mundane ukazy) are frequently used as policy initiatives and policy programs. Among others, this practice has been criticized by the OHCHR Special rapporteur on human rights in the latest report: “The legal framework continues to be amended and governed by presidential decrees, which overrule constitutional law”. Two recent examplesare the 2013-2014 judicial reform and the infamous 2015 Decree No 3 establishing a new tax on unemployment. First, in an effort to foster the Eurasian integration, Lukashenka used his presidential mandate to introduce the judicial reform of 2013-2014 (Decree No. 6 accompanied by ordinances [ukazy] No.529 and 530) via presidential decrees bypassing the legislature and public debates. The presidential decree No. 6 dated 29 November 2013 made explicit reference to Article 101 of the Constitution. Article 101 stipulates that the President can issue temporal decrees, which have legislative validity, but they require approval of the House of Representatives and the Council of the Republic. Such temporal presidential decrees should not include changes, additions and interpretations of the Constitution and changes and additions of the legislative program. However, Article 97 clearly assigns the constitutional right to propose legislative bills amending the judicial system, judicial procedures and the status of judges to the House of Representatives. The judicial reform resulted in the incorporation of the Supreme Economic Court into the Supreme Court despite the fact that the autonomy of the Supreme Economic Court is granted by Article 34 of the Constitution, and references to the Supreme Economic Court still remain in the Constitution. [viii] In the review of the judicial reform, the Constitutional Court confirmed the validity of these acts referring to Article 109, Paragraph (3): “The judicial system in the Republic of Belarus shall be determined by the law.” Thus, the interpretation of the law and legislative acts was de facto expanded to temporary presidential decrees. The Constitutional Court has also recognized that the judicial reform would require constitutional amendments. Thus, it appears that it was this somewhat hurried judicial reform that has opened up the Belarusian leadership to the debate on the Constitution back in 2013-2014. The second example was the Decree No. 3 “On the prevention of social parasitism” from 2 April 2015 which introduced a tax for citizens who did not contribute to funding state expenditure, or did so less than 183 days per year. Therefore, the decree was targeted at unemployed and those employed in the informal economy to prop up state revenue. The reasoning to legitimize the decree was the notion of Belarus as a social state, i.e. contributing financially to social services was portrayed as obligatory. The Belarusian Helsinki Committee argued that the decree violated at least five articles of the Belarusian Constitution, most importantly Article 41, Paragraph (4) (de factointroducing forced or obligatory labor), but also articles 32, 56, and 101. On the grounds that Decree No 3 violated Article 41 as well as the ILO Convention No. 29 “Convention Concerning Forced or Compulsory Labor, 1930” and 105 “Abolition of Forced Labor”, the oppositional Belarusian Social Democratic Party (Assembly) filed a complaint with the Constitutional Court in July 2015. The Court, however, rejected to review the complaint on the merits as citizens and legal entities are formally not entitled to file a complaint. In the wake of street protests inMinsk and some regions in February and March 2017, the Constitutional Court did react to electronic citizen complaints. While the Court refused to start a constitutional review based on the complaints, it cited legislation and previous decisions of the Court and, therefore, indirectly confirmed the legality of the decree. It made reference to Article 56 of the Constitution and equaled state taxes, duties and other payments to an “unconditional demand by the state” that citizens must comply with following their duty to “contribute to funding public expenditure”. Hanna Kanapatskaia, one of the two independent MPs elected into the House of Representatives in 2016, tried to petition her chamber to file a complaint with the Constitutional Court, but her request got stuck for three months and was formally declined by the House in July 2017. Decree No 3, therefore, once more highlighted the enormous powers of the presidency to make inroads into key tenets of the Constitution – in this case the notion of the social state. As the state bodies entitled to file complaints with the Constitutional Court are loyal to the president, citizens and other legal entities such as parties are de facto barred from checking the presidency, leaving the street as the only option to vent anger. Lukashenka did not repeal the decree, but complaints and protests did have some results. Among the 470,000 citizens obliged to pay the tax by mid-February 2017, only slightly more than 10% had complied. In March, Lukashenka decided to suspend and reconsider some terms of the decree until 2018. An amended Decree No. 1 was passed on 25 January 2018 which will come into force on 1 January 2019, which, however, also contradicts international and domestic norms on forced and compulsory labor according to an assessment of the Belarusian Congress of Independent Unions. Overall, there is no reason to doubt that decrees will remain one of the most powerful tools for policy-making by the president. But the apparent lack of feedback mechanisms with the broader population can make its use a costly and, at times, even risky business. There is evidence that Lukashenka and his entourage are actively monitoring constitutional amendments in the post-Soviet space aimed at bolstering the regimes of the incumbents, in particular Azerbaijan, Kazakhstan, and Armenia. This might indirectly implicate that there are clandestine considerations about how to gradually adapt the current institutional setting and therefore to preempt a potential succession crisis. In July 2016, Azerbaijan’s President Ilham Aliev announced constitutional amendments that were later approved by the Constitutional Court and put to a national referendum on 29 September 2016. The amendments prolonged the presidential term from 5 to 7 years, introduced the post of First Vice President and Vice President, and strengthened the presidential mandate with the right to dissolve the Parliament. Azerbaijan’s model of constitutional changes included even less than a three-month turnaround of amending the Constitution (from announcing the proposal to organizing a national referendum), a package of constitutional amendments presented to the public that removed a number of obstacles with just one plebiscite and a maximized national campaign, opening additional polling stations in Azerbaijani embassies, to legitimize the referendum results. About the same time, after the Belarusian parliamentary elections in September 2016, the Liberal Democratic Party (LDP), a pro-government party, and its leader Haidukevich proposed changing the terms of office for members of Parliament from 4 to 5 years and extending the presidential tenure from 5 to 7 years by means of a nation-wide referendum which would coincide with local elections in early 2018. Although this initiative evaporated rather quickly, at the time analysts believed that the LDP’s proposal of a referendum had official backing. The prolongation of presidential term limits was discussed with regard to the 2020 electoral cycle when both parliamentary and presidential elections will coincide. Combining a referendum on the extension of presidential term limits with local elections in 2018 could have postponed the next presidential elections until 2025. Another option still in the cards would be an early presidential election in 2019 in combination with a referendum. Contrary to previous constitutional amendments aimed at expanding presidential powers, the 2017 reform redistributed 34 presidential powers between different branches of government, strengthening the role of the Parliament and enhancing the separations of powers principle. Moreover, procedurally the process was much more open and at least formally consultative than the Azerbaijani maneuver. Draft constitutional amendments in Kazakhstan were originally formulated by a special working group, comprised of the members of the government, Parliament, Supreme Court, Constitutional Court, academia and civil society, and were discussed publically prior to the approval of the final draft law by a joint session of Parliament. From the Belarusian perspective, this might indeed look like a viable “operation successor” as part of a Kazakhstani “sustainable system,” where Nazarbaev could at one point take over another position – e.g. as a chairman of the National Security Council – whilst a designated successor would secure his safety until the final power transition. Lukashenka, himself has alluded on multiple occasions that presidential powers should be distributed among other state organs, most importantly the government to strengthen the “power vertical” for the days “when Lukashenka will be no more”. But this power redistribution, he emphasized, is not going to happen anytime soon. Lastly, with Armenia’s Velvet Revolution in April 2018, the dangers of tinkering with the country’s institutional design clearly outweighed the perceived advantages. Given that Lukashenka had done away with the presidential term limit long ago, the “Armenian model” of switching from semi-presidentialism to parliamentarism with the President indirectly elected by the Parliament was the least relevant in any case. Besides the more obvious lesson that an allegedly popular president can be toppled by street protests rather quickly and unexpectedly when constitutional amendments are perceived as overt manipulations and feedback mechanisms, such as media and polls, are flawed, the Armenian case might have contributed to shelving once again reforms of the electoral code and the party system. After all, it was the Armenian ruling Republican Party that had nominated Serzh Sargsyan and later lost power to a coalition of parliamentary factions around the new Prime Minister Nikol Pashinyan. From the perspective of Lukashenka, transforming the pro-regime platform Belaia Rus’ into a proper party of power now accompanied by a change of the electoral system from majoritarian first-past-the pole single member districts to a proportional system with party lists carries more disadvantages than simply maintaining the status quo. The Central Election Commission’s Iarmoshyna has made it clear on numerous occasions that amendments to the election law to a proportional or a mixed system would also require constitutional amendments such as the removal of citizens’ right to recall elected deputies (Article 72). Finally, Lukashenka remarked that firmly grounding the notion of the multi-party system in the Constitution would precede any steps of turning Belaia Rus’ into a party. A proper party system, however, would result in “endless debates”, and it was far from clear whether Belarus was ready for this sort of “fist fight”. Over the last years, the Belarusian President, Aliaksander Lukashenka, has been building up public expectations that amending the Constitution was inevitable. The reality is different. Despite numerous statements, the Constitution has remained unscathed since 2004. The discussed two examples of the 2013-2014 judicial reform and the infamous 2015 Decree No 3 establishing a new tax on unemployment are just the tip of the iceberg of the law-making done by presidential decrees. However, they showed that touching the Constitution is unnecessary as presidential power can be expandedby laws or decrees. Nevertheless, as the cases of Kazakhstan and Armenia revealed, dealing with the succession issue would involve a decrease and redistributionof presidential powers to other state organs, mainly to the legislature and the government. In the presidential discourse, however, the Constitution is firmly associated with stability, state sovereignty, security, and an evolutionary path of state-building. Opposition groups who have been campaigning for a constitutional referendum such as Gavary Praūdu (Tell the Truth) can thus easily be denigrated as subversive and anti-Belarusian. In the absence of independent public opinion surveys, there is a vacuum of reliable comparative data that measures regime support. This is not only problematic for researchers working on Belarus[ix], it seems that the regime also struggles to measure people’s attitudes and support for the government and its policies. Given recent events in Armenia of yet another “color revolution” in the post-Soviet space, freezing the status quo and postponing the successor issue by talking about constitutional changes while changing nothing so far has proved to be a successful recipe, at least from the perspective of the Belarusian ruler. [i]In December 2015, constitutional changes were designed to transfer significant powers from the Armenian president to the Prime Minister. The presidential term limit prevented Sargsyan from getting elected as President for the third time. By getting appointed by the ruling Republican Party as Prime Minister on 11 April Sargsyan hoped to remain in power, but in vain. [ii]Bedford, S., & Vinatier, L. (2018). Resisting the Irresistible:‘Failed Opposition’ in Azerbaijan and Belarus Revisited. Government and Opposition, online first: https://doi.org/10.1017/gov.2017.33. [iii]Ginsburg, T., & Simpser, A. (Eds.). (2013). Constitutions in Authoritarian Regimes. Cambridge University Press. [iv]Ungated version: Burkhardt, F. (2016). Belarus. In Constitutional Politics in Central and Eastern Europe(pp. 463-493). Springer VS, Wiesbaden. [v]Dabrowski, M. (2016). Belarus at a Crossroads(No. 2016/02). Bruegel Policy Contribution. [vi]Frear, M. (2019). Belarus under Lukashenka. Adaptive Authoritarianism. Routledge. International Law 38(1), p. 228. [viii]Kazakevich, A. (2008). Belarus. Nations in Transit Country Reports 2018. Freedom House. [ix]Rohava, M. (2018). Identity in an Autocratic State: Or What Belarusians Talk about When They Talk about National Identity. East European Politics and Societies 32(3), pp. 639–668. This entry was posted in Armenia, Azerbaijan, Belarus, Caucasus, Central Asia, Europe, Kazakhstan on July 24, 2018 by Robert Elgie. In the last months, Armenia has been remarkably active in developing and enhancing its international ties. However, Russia has not stopped keeping in check its “small brother”. Armenia’s sudden withdrawal from NATO’s Agile Spirit exercise in Georgia is illustrative of the pressures and challenges it faces. Rather than being confined to the foreign policy realm, these developments have some domestic implications. Over the summer, Armenia was working towards the strengthening of the relationship with a plurality of actors. Such diplomatic activism can be interpreted as being in line with its main foreign policy guideline, namely complementarity. That means cultivating ties with as many international partners as possible, within the leeway consented by Russia. Concerning the relationship with the EU, Yerevan and Brussels are expected to sign the Comprehensive and Enhanced Partnership Agreement (CEPA), whose details were finalized in March. Both Piotr Switalski, the head of the EU Delegation in Yerevan, and the Armenian president, Serzh Sargsyan, are confident about a successful outcome. In the words of Mr Sargsyan: “We have no reason to not sign that document”. A similar statement was also made by Prime Minister Karen Karapetian. Other than interacting with the EU, Armenian officials had discussions with their Iranian counterparts about the implementation of a free-trade zone. Additionally, Armenian president Serzh Sargsyan and the Turkmen president Gurbanguly Berdimuhamedov pledged to reinforce their bilateral ties. These developments, and some prior diplomatic moves, have domestic implications. Thus, they can be understood as being linked to the September 2016 Government reshuffle, and to the need to promote foreign investments and sustainable developmen. Focusing on the relationship with the EU, CEPA can be interpreted as the last episode of a complex interaction. In addition to being an upgrade in bilateral relations, the signature of CEPA is relevant since at the last minute, in September 2013, Armenia withdrew from the Association Agreement (AA) talks with Brussels and announced instead its decision to join the Russian-led Eurasian Union. Even though most analysts suspect this U-turn to be the result of Kremlin pressure, Armenian political elites have never publicly admitted that this was the case. For instance, in recent times President Sargsyan denied any such external interference, saying that: “We negotiated with both the EEU and the EU, since initially both sides said that one does not interfere with one another. But, what should we do when the European Union said that it hinders?” In other words, it was hinted that the EU, rather than Armenia, suddenly departed from what had been previously agreed. However, in spite of this official rhetoric, the influence of Russia seems clear. The withdrawal from the Association Agreement shows that Russia can be an unpredictable and capricious “big brother”. Thus, while there should be no objection to signing CEPA, the Kremlin still keeps a close eye on its South Caucasian ally. In this regard, notwithstanding the diplomatic activism of the past months, the last-minute withdrawal from the NATO’s Agile Spirit exercise in Georgia, which took place between September 3 and September 11 was remarkable. Armenia is a member of the Russian-led Collective Security Treaty Organization (CSTO). However, the country has been developing ties with NATO, as per the Individual Partnership Action Plan and the Partnership for Peace program. Within this framework, some Armenian troops took part in NATO’s peacekeeping operations in Afghanistan and Kosovo. Aware of the possible tensions and misunderstandings arising from this situation, Armenian cadres often specified that cooperation with NATO neither interfered with the CSTO’s commitments nor involved any future plan of membership. For instance, during an interview in July 2017, President Sargsyan ruled out any ambition to join NATO.However, in spite of these precautions, the withdrawal from the NATO drill seems indicative of some misunderstanding between Moscow and Yerevan. Armenian policymakers said that their participation was never confirmed. Notably, Armenian Deputy Speaker Eduard Sharmazanov also remarked that, notwithstanding cooperation with NATO, CSTO plays a crucial role for the security of Armenia. However, that does not mean cutting ties with NATO. In this regard, presidential spokesperson Vladimir Akopyan stated that missing the military exercise did not prelude a reconsideration of the relationship with NATO (i.e. cooperation without membership). It must be added that it is not the first episode of this kind. In 2009 Armenia, after confirming its involvement in a NATO exercise, also pulled out at the last moment. Despite the aforementioned declarations, some doubts are in order. Georgi Kajarava, the Georgian Defense Ministry spokesman, said that this decision was highly unexpected. Even more explicitly, the Armenian expert Ruben Mehrabyan bluntly said that: “A simple comparison of realities that have taken shape in the region and Armenian-Russian relations simply rule out any theories for the exception of Russia resorting to brazen blackmail and the Armenian leadership back-pedalling.” Mr Mehrabyan also ruled out that the withdrawal of Armenia could be attributed to the participation of Azerbaijan. First, Baku announced its involvement at the very last minute. Second, both Armenia and Azerbaijan participated in games organized and hosted by Russia. The hypotheses about Russian pressure= are reinforced by an analysis of the Russian press. The pro-government newspaper “Pravda” used the expression “common sense prevailed” when commenting on Armenia’s sudden refusal to participate in the NATO drill. In the same article, which also hinted at the unhappiness of Russia with the cooperation between NATO and Armenia, it was plainly stated that: “We would also like to remind our Armenian friends that it was Vladimir Putin (not Angela Merkel) who stopped the offensive of Azerbaijani troops in Nagorno-Karabakh in April ”. While these dynamics relate to the international sphere, they are also relevant to the understanding of domestic developments, first and foremost the future of Serzh Sargsyan. As reported in this blog, Mr Sargsyan declared that in the future he would like to be involved in security affairs. However, he prudently refrained from commenting on the NATO issue. Due to the constitutional reform of 2015, Mr Sargsyan could extend his position in power by becoming premier. Given that, his silence could be interpreted as a way to avoid tensions with a crucial partner. In addition to this prudence in international affairs, an analysis of domestic dynamics also seems to confirm the unwillingness of Mr Sargsyan to quietly retire. While he refrains from declarations about his future, Galust Sahakian, a deputy chairman of President Sargsyan’s Republican Party of Armenia (HHK), declared that the President should stay in power after the end of his second presidential mandate (i.e. should become Prime Minister), since no other leader could take up such a responsibility. In conclusion, Armenia needs to find a balance between its desire for investments and modernization, and its need for not displeasing Russia. Turning to the current leadership, prudent decisions seem connected to their permanence in power. Refer to Erik Davtyan’s analysis for more insight on Armenia recent diplomatic moves and their implications. ARMINFO News Agency. 2017. “Kiesler: European Union is ready to sign agreement on extended and comprehensive partnership with Armenia”, September 12 (Retrieved through LexisNexis). This author conducted expert interviews in Armenia in Summer 2015 and Summer 2015. All her respondents agreed on Russia having strongly influenced that decision. For further insights, refer to: Loda, C. (2016, May). Perception of the EU in Armenia: A View from the Government and Society. In Caucasus, the EU and Russia-Triangular Cooperation?. Nomos Nomos. Pp 131-152. BMI Research. 2017. “New EU Deal No Game Changer”, Armenia Country Risk Report, October 1 (Retrieved through LexisNexis). Thai News Service. 2017. “Armenia: Armenian presidential spokesman comments on relations with NATO”, September 8 (Retrieved through LexisNexis). BBC Monitoring Trans Caucasus Unit. 2017. “Programme summary of Armenian Public TV news 1700 gmt 4 Sep 17”, September 5 (Retrieved through LexisNexis). ITAR-TASS. 2017. “Armenian presidential spokesman says no plans to review relations with NATO”, September 07 (Retrieved through LexisNexis). ARMINFO News Agency. 2017. “Dashnaktsakan: Armenia is an independent state, and can independently decide in which exercises to take part, and in which there is no”, September 04 (Retrieved through LexisNexis). ARMINFO News Agency. 2017. “Armenia to participate in the training “Combat Commonwealth 2017” within the framework of the CIS against the backdrop of refusal to participate in NATO exercises”, September 4 (Retrieved through LexisNexis). BBC Monitoring Trans Caucasus Unit. 2017. “Pundit: Armenia misses US-led drills due to Russia’s “brazen blackmail””, September 6 (Retrieved through LexisNexis). Stepushova, Lyubov. 2017. “Russia tells Armenia where to sit”, Pravda.Ru, September 7, http://www.pravdareport.com/world/ussr/07-09-2017/138617-armenia-0/. In 2015, a constitutional referendum reduced the powers of the President and enhanced those of the Prime Minister. Considering the political implications of this change, it has been observed that it would enable President Sargsyan, who is serving his second and last presidential mandate, to extend his permanence in power by becoming Premier. This blog extensively covered this topic, focusing on the details of the reform, the campaign before the vote and the relevant debate in 2016 and 2017. This entry was posted in Armenia, Caucasus, Presidentialism, Russia and tagged Armenia, CSTO, foreign policy, NATO, Russia on September 18, 2017 by Chiara Loda. In September 2016, referring to the parliamentary elections due to be held in the spring of 2017, President Serzh Sargsyan of Armenia declared that: “I am sure that all these measures will contribute to raising public confidence in electoral process and ensure that we meet international standards for free and fair elections. Parliamentary elections will be held in our country in several months. The Republic of Armenia will send invitations to all partners for their participation in international monitoring missions”. Even though political leaders do not always implement this kind of declaration, the recent Armenian record gives some backing to the credibility of the statement. Armenia is not a consolidated democracy, as clearly stated by “Freedom House-Nations in Transit” 2016 report. In 2016 (like in the previous years) Armenia is classed as a semi-consolidated authoritarian regime. In particular, with reference to electoral processes, it is considered that the level of local self-governance remains insufficient. Looking at the executive level, some observers and members of the opposition have criticised the recent constitutional reform. According to them, rather than being aimed at the greater good of the country, the reform represents a tool to extend President Sargsyan position in power. Additionally, corruption remains pervasive. In spite of these and other shortcomings, in recent times Armenia has often searched for international advice and approval before implementing major reforms. Relevant examples of that are the forthcoming parliamentary elections, as hinted at the beginning of the post, and the recent constitutional reform (approved by referendum on December 2015). International observers have been formally invited to monitor the forthcoming parliamentary election, scheduled for April 2, 2017. More precisely, on January 19, Arsen Babayan, Head of the Information Department of the Armenian National Assembly, declared that four international organisations have been invited: the Council of Europe, PACE, OSCE, and CIS Inter-Parliamentary Assembly. Such a move was widely expected. Remarkably, in anticipation of a formal invitation from the Armenian authorities, in the past months, the OSCE/ODIHR conducted a “Need Assessment Mission report”, which involved consultations with both institutional and civic actors. As a result, the deployment of 24 long-term observers and 250 short-term observers has been recommended. Additionally, the Armenian government has been cooperating with international donors towards the enhancement of electoral capabilities and transparency. For example, after some talks, the Government and the EU delegation in Armenia agreed on the funding and purchasing of cameras to be placed in the polling stations. Additionally, a program for the timely acquisition of voter identification technologies has been coordinated by UNDP and funded by the EU, the USA, Germany, and Great Britain. This search for the cooperation and, more indirectly, the approval of the international community (especially EU and the US) is not new. As already dealt with in this blog, in July 2015, before submitting the text of the new constitution to the voters, the Armenian authorities asked the Venice Commission (the advisory body of the Council of Europe specialised in constitutional law matters) for an advisory legal opinion. Following the opinion, the draft of the constitutional reform was amended accordingly. This cooperative attitude is diametrically opposed to the hyper-assertive behaviour of neighbouring (and arch-enemy) Azerbaijan. Notably, in November 2016, the Azerbaijani Constitution was modified by referendum. On that occasion, the government in Baku, despite of severe criticism from the opposition, refrained from asking for any external advisory opinion on the draft. Notwithstanding the lack of a formal invitation, but in response to a request from several human rights defenders, the Venice Commission issued an urgent preliminary opinion on the draft (which was not formally discussed by the Azerbaijani authorities), highlighting concerns on matters like civil liberties and over-empowerment of the presidency. Armenia has nothing specific to gain from being a “good international citizen”. In spite of its membership in the Russian-sponsored Collective Security Treaty Organizations (CSTO) and the Eurasian Union (EEU), Armenia seems to be on remarkably good terms with the EU. Notably, even though no specific dates have been announced yet, Yerevan and Brussels are concluding the negotiation of an agreement to deepen economic and political ties. This is happening roughly three years after a Armenian u-turn. More precisely, in September 2013, after the sudden withdrawal of Yerevan from Association Agreement (AA) talks with the EU, it was made clear that Armenia was not eligible for any alternative form of association. This did not prevent Armenian officials, including the President, from making frequent comments about the desire for cooperation with Brussels. The ongoing search for another form of association seems to have helped the Armenian cause, as shown by the current ongoing negotiations. In short, Armenia is making successful use of its soft power (i.e. persuading others to do something without resorting to coercion). Notably Yerevan, in spite of its binding ties with Russia, has convinced the EU of the importance of not abandoning its “willing child”. Even though it would be superficial and dismissive to ascribe this outcome solely to Armenia’s “good international attitude”, it is safe to say that it has played some role. If this hypothesis is correct, it can allow us to make sense of soft-power strategies implemented by extra-European states. In particular, it can help us to understand why mega-events, such as sporting competitions, have limited power in seducing an external (Western) audience. As Nye points out, “The best propaganda is not propaganda”. This refers to the mediocre outcomes of Russian and Chinese soft-power strategies, which project a government-crafted message that, ultimately, is not credible. A similar point can be made about neighbouring Azerbaijan, which for years has implemented an (expensive) state-sponsored public diplomacy strategy, involving both grand events and a carefully planned official narrative. In spite of the effort, during the “European Games” of 2015 the international spotlight was on political prisoners rather than on the brand-new stadiums. At things stand, Baku seems to have acknowledged the limited effectivity of the strategy. In summary, Armenia, notwithstanding its binding ties with Russia, has been successful in portraying itself as an eager partner of the EU. In addition, both before the recent constitutional reform and the forthcoming parliamentary election, external advice and approval have been proactively sought. This is in sharp contrast to the Azerbaijani strategy, which until recently was more focused on grand events rather than on initiatives and reforms that were geared towards external observers. Going beyond these cases, these observations may be relevant to the broader understanding of soft-power tools. While the limits of building stadiums seems have been realised now, more attention should be paid to “international goodwill”. ARMINFO News Agency. 2016. “Armenia’s President: Armenia’s new government’s task is to give new impetus to development of economy”, September 17 (retrieved through LexisNexis). This blog has analysed the Armenian constitutional reform, including the public debate around it, in the following dates: November 30, 2016; December 9, 2015; September 13, 2015. ARMINFO News Agency. 2017. “Arsen Babayan: 4 international organizations invited to observe parliamentary elections in Armenia”, January 19. ARMINFO News Agency. 2017. “Negotiations continue on installing video cameras in polling stations in Armenia, Switalski says”, January 24. Loda, C., 2016, May. Perception of the EU in Armenia: A View from the Government and Society. In Caucasus, the EU and Russia-Triangular Cooperation? (pp. 131-152). Nomos Verlagsgesellschaft mbH & Co. KG. Providing a detailed account of the Armenian geopolitical membership may be daunting. Even though the country is geographically much closer to Teheran than to Brussels, the Armenian political narrative has consistently emphasised the belonging of the country to the European-Christian civilisation. Nye, J.S. 2013. “What China and Russia Don’t Get About Soft Power”, National Herald Tribune, May 2 (Retrieved through LexisNexis). Loda, C. 2016. “Azerbaijan, Foreign Policy and Public Diplomacy”. Irish Studies in International Affairs, 1-17. Retrieved from http://www.jstor.org/stable/10.3318/isia.2016.27.7. Also in the case of Azerbaijan, the targeted audience is the western one. For a more detailed analysis, see: Loda, Azerbaijan, Foreign Policy and Public Diplomacy. This entry was posted in Armenia, Azerbaijan, Caucasus and tagged Armenia, Constitutional Reform, election monitoring, Public diplomacy on February 8, 2017 by Chiara Loda. In 2015, after a referendum, Armenia voted to switch from a semi-presidential political system to a parliamentarian one. As a consequence of that, most governing prerogatives are due to shift from the president to the prime minister. This change has been accompanied by discussions about the implications of the change. Notably, both before and after the vote, the public debate has focused on the consequences on the tenure in power of President Serzh Sargsyan, who has been ambiguous as to whether he will run for Prime Minister after the end of his second and last presidential mandate. Almost one year after the constitutional amendment, the debate has not ceased. The debate about the constitutional reform has centred on the personal gains of politicians (especially the serving President) rather than on the institutional implication. This is nothing new in either an Armenian or the South Caucasian context. More than a decade ago, in the months preceding the Armenian Constitutional Reform in 2005, the public debate in Yerevan focused on how the new legislative provisions would give substantial immunity to the president. Similarly, in 2010, when neighbouring Georgia approved a similar reform to the 2015 Armenian constitutional change, critics observed that it would secure then then President Mikheil Saakashvili’s position in power. In the end, the electoral defeat of Mr Saakashvili’s party (UNM) in the 2012 parliamentary election was followed by a smooth transfer of power, often saluted by external observers as a crucial moment in the Georgian path towards democratisation. Back in Armenia, the debate has been recently revitalised after the public declarations of the President. At the end of October 2016, when asked by Al Jazeera about his intention to run for Prime Minister in 2017, President Sargsyan answered evasively: “You know, I find it too early for these conversations.” While, for roughly one month, Mr Sargsyan refrained from further comments, in the following days and weeks different comments came from the ruling majority, the opposition and the press. Tatevik Shahunyan, who is Vice Speaker of the Armenian Parliament and Spokesman for the ruling “Republican Party” (RP), declared that it was premature to talk about the political future of the President before knowing the results of the Parliamentary elections in 2017; this statement neither confirmed nor denied the scenario of Mr Sargsyan becoming Prime Minister at the end of his presidential mandate. As expected, the opposition commented on these developments in a much more decisive way. Levon Zurabian, a parliamentary leader of Armenian National Congress (HAK), interpreted President Sarksyan’s statement as an admission of political ambitions beyond his presidential mandate. This opinion was promptly reiterated by Mr Zaruhi Postanjian, the leader of Heritage party. The press enriched the debate by pointing out the potential intra-party implications of this “tandem”. The pro-opposition paper Zhamanak reported that an exceptional electoral result by the ruling Republican Party might be interpreted as stemming from the work of the current Prime Minister Karen Karapetyan. In that case, his resignation in favour of Serzh Sargsyan would seem illogical. President Sargsyan might benefit more from a “moderately good” result which, without jeopardising the ruling majority, would not be interpreted as the personal success of Mr Karapetyan. After roughly a month of silence, President Sargsyan finally spoke both about the Prime Ministership and party unity, denying any conflict between his personal ambitions and the future of his faction. On November 26, in occasion of a speech given at the “16th Convention of the Republican Party of Armenia”, he ruled out the immediate substitution of the Prime Minister, saying that: “[I]n case we receive the vote of trust in the coming elections, our government will again be headed by Prime Minister Karen Karapetian who will continue to implement the current programs.”. In spite of this declaration, which in any case did not clarify President Sargsyan’s intention after the end of his presidential mandate in 2018, some members of the opposition maintained their comments. For example, Levon Zurabyan (HAK) declared: “Karen Karapetyan is being used by the PR to secure their success in the parliamentary election. That will later pave Serzh Sargsyan’s way to the prime minister’s office”. In relation to intra-party dynamics, President Sargsyan’s speech placed the emphasis on the need for the Republican Party to unite and promote the modernization of the country. Notably, significant space was devoted to the economic results obtained in the last eight years in the face of the global financial crisis. He pointed out the need for Armenia to undergo a broad process of reforms, both in relation to the economic development of the country and in the face of external challenges. In the words of President Sargsyan: “We need to reduce and eliminate the negative [spill-over of the hostile external environment]. Any successful reform will bring also new success in other areas”. This insistence on change seems to refer not only to future targets but also to measures adopted in the recent months. Notably, a reduction in the gas price, effective as of July 2017, was approved in October. In the same month, an anticorruption bill was voted. The lengthy speech by President Sargsyan at the annual party convention suggests that the forthcoming parliamentary campaign will be mostly centred on economic themes rather than on strong personalities. That is in line with one of the declared goals of the constitutional reform, namely the replacement of a people-based political culture with the consolidation of ideological platforms. Pertinently, the President’s rhetoric reveals the attempt to minimise intra-party divisions and shift the attention to a programmatic platform. In this perspective, the opposition, which is hardly unified, has already expressed its interest in joining forces to prevent a landslide victory of the Republican Party. The next months will be crucial in understanding whether the soon-to-be introduced parliamentary system can indeed foster democratisation as claimed by its proponents, rather than being the vehicle for personal political ambitions. Arminfo News Agency. 2005. “Those Who State that the Bill of Constitutional Reform will lead to Impunity of the President are Unaware of the Bill”, November 26 (Retrieved through LexisNexis). ARMINFO News Agency. 2016. “Sharmazanov in the footsteps of Serzh Sargsyan’s interview to Al Jazeera: It is tactless to speak of President’s plans after 2017 elections until election results are known”, November 4 (Retrieved through LexisNexis). BBC Monitoring Trans Caucasus Unit. 2016. “Armenian press discuss president’s interview with Al-Jazeera”, October 29 (Retrieved through LexisNexis). In occasion of the 16th Convention of the Republican Party of Armenia, Prime Minister Karapetyan has formally joined the Republican party. In spite of this pledge for unity, analysts suspect that the inclusion of Mr Karapetyan in the Republican Party has not been received with unanimous enthusiasm [ARMINFO News Agency. 2016. “Expert: with Karapetyan’s assignment the old guard turned the most vulnerable point of Republicans”, November 28 (Retrieved through LexisNexis)]. This entry was posted in Armenia, Caucasus, Presidentialism and parliamentarism and tagged Armenia, Constitutional Reform, elections, president on November 30, 2016 by Chiara Loda. Sophia Moestrup and I have just published another edited volume on semi-presidentialism. This time the focus is on Semi-presidentialism in the Caucasus and Central Asia. There are contributions from Alex Baturo on vertical power in the post-Soviet space, Alexander Markarov on Armenia, Jody LaPorte on Azerbaijan, Malkhaz Nakashidze on Georgia, Dmitry Nurumov and Vasil Vashchanka on Kazakhstan, and Matto Fumagalli on Kyrgyzstan. Sophia and I contribute two chapters. The first addresses some misconceptions about the notion of semi-presidentlaism, such as the idea that semi-presidential regimes must have quite powerful presidents but never very powerful or very weak presidents, and also that autocracies cannot be semi-presidential – they can, not least because semi-presidential regimes do not have to comprise only countries with quite powerful presidents. Our second chapter sums up the contributions to to the volume and argues that weaker presidents make for better semi-presidentialism. This is a brief summary of this second chapter. 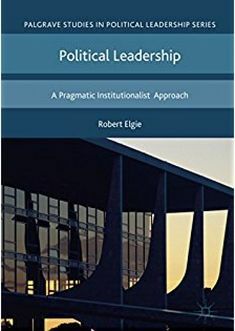 The main attraction of institutional analysis is that it has the potential to generate better political outcomes. Given the assumption that institutions matter, we may be able to craft them so as to mitigate or even eradicate some of the negative outcomes that would otherwise be caused by the behaviour of political actors. We wish to draw one institutional policy recommendation from this book. All else equal, countries with weaker presidents are likely to experience better outcomes than countries with stronger presidents. There is evidence from Armenia, Georgia, and Kyrgyzstan that weaker presidents have been associated with better outcomes. In Kyrgyzstan the decline in the president’s constitutional powers has been dramatic. That said, the shift to a weak president is relatively new, dating back to 2010. Kyrgyzstan also has a history of democratic reversals. So, we should avoid any definitive judgement at this early stage. More than that, the shift occurred in the context of the collapse of the previous regime and the desire on the part of the constitution builders to trammel the power of the presidency, which was seen as one of the main obstacles to democratic consolidation under the previous regime. This suggests that any positive effects of the weak presidency may be endogenous to the choice of the new institutional framework. All the same, we note that the early period of the new constitutional framework has been marked by less presidential posturing, less executive/legislative conflict, and, for now at least, less democratic backsliding. These are positive signs. In Armenia, the decline in presidential power has been less dramatic. The president’s constitutional powers were never as great as the other countries in the region. Moreover, even after the passage of the 2005 reforms, the president still enjoyed some not inconsiderable constitutional powers. What is more, as in Kyrgyzstan, the context in which the president’s powers were reduced in 2005 means that we have to take account of the problem of endogenous institutional choice. Further still, Armenia remains a hybrid democratic regime in which there is plenty of political competition, but where democratic procedures have been manipulated to the advantage of incumbent power holders, although perhaps less so in the most recent elections than previously. In this context, we have to be careful about any lessons that we might we wish to draw from the Armenian case. Even so, we might benefit from thinking counterfactually. What would be the situation if there were now a super-president in Armenia? Would the situation be worse? We cannot know. Yet, we do know that in practice there was a form of super-presidentialism after the passage of the 1995 constitution. We can also confidently claim that this period marked the low point of democratic performance in Armenia to date. Armenia has not experienced a weak presidency, but it has experienced very strong presidents. It is not unreasonable to conclude by comparing the experience of the 1995-2005 super-presidency and the post-2005 period that the latter was less problematic. By far the strongest evidence, though, comes from Georgia. Here, there were two periods when the problem of endogenous institutional choice was at least partly offset because of a dramatic change in the political context. In the first period there was a very strong president. In the second period, there was a very weak president. In this latter case, it is tempting to think in terms of quasi-experimental conditions. In the same historical, cultural, economic, and social context, there was an institutional treatment, namely the move to a weak presidency. The result has been much better political performance. The period of cohabitation under the previous president-parliamentary form of semi-presidentialism was marked by intense president/prime ministerial conflict as well as conflict between the president and the government and legislature generally. By contrast, the recent period under the weak presidency and a premier-presidential form of government has, to date, been characterized by much calmer relations. Indeed, this latter period is doubly interesting because the president distanced himself from his former political allies immediately after his election. The resulting situation should not be classed as a period of cohabitation, but it is certainly not a period where the president’s loyalty to the ruling party has quashed, perhaps artificially, any political competition within the executive branch. While there have been major disagreements between the president and the government, they have not become regime threatening. Indeed, arguably, post-2013 president/government relations in Georgia resemble those in countries like the Czech Republic or Slovakia where weak but directly elected presidents act as a counterweight to the government, but where there are no serious attempts to assume real presidential power. If we are right to conclude that weaker presidents are better presidents, then we also wish to assert that the party system is an important intervening variable, as indicated above. It is perhaps no coincidence that in Georgia there has been a solid parliamentary majority since 2013. In other words, the president has not had the opportunity to try to offset his weak constitutional powers by building an alternative and potentially destabilizing pro-presidential coalition within the legislature. We might add that there has also been a relatively stable legislative majority in Kyrgyzstan since the 2010 reforms. Again, the president has not had the incentive to craft a majority that is personally loyal to him and that often requires the distribution of state resources in a geographically skewed and perhaps even corrupt way. In Armenia, by contrast, presidents have not always enjoyed a parliamentary majority and have been forced to forge coalitions in the legislature. This perhaps helps to account for the continued presence of a patronage president in a way that harms the rational functioning of the regime and democratic performance. Indeed, the recent constitutional reform that will introduce a parliamentary system after the next electoral contests might confirm this suspicion. The introduction of a parliamentary system and a weak president should be a positive development on the basis of our logic, but it may merely be a way of maintaining patronage politics in the context of an uninstitutionalized party system. So, we acknowledge that many economic, social, and political factors affect political performance. We also believe that the party system is a particularly important variable for determining the practice of presidential politics. Even so, we claim that political performance is likely to be better when presidents have fewer powers. This suggests that constitution makers should consider the benefits of reforms that reduce the power of their presidency. We are aware that our conclusion assumes that institutions matter and, therefore, is susceptible to the problem of endogenous institutional choice, but we would like to address the endogeneity problem by arguing that even endogenously chosen weak presidents are better than endogenously chosen strong presidents. In other words, we believe that there are benefits to be gained from the endogenous selection of weak presidents. We should endeavour to create the conditions for decision makers to calculate that their system would benefit from a weak presidency. Fundamentally, if we are right that weak presidents bring benefits, we are unconcerned whether this outcome comes about endogenously or exogenously. That said, even if institutions are chosen endogenously, political actors still have to interpret the institutions with which they are faced. At some point, the economic, social, or political context is likely to change. At that point, if not before, institutions may have at least a partly exogenous impact. In those circumstances, it is better to have a weak presidency in place than a strong one. In other words, we would encourage upstream efforts to create the conditions for a constitutionally weak president. We believe that there are benefits to be gained from a system in which actors are willing to work without the presence of a super-president and that these benefits are likely to be both endogenous to institutional choice and at some point exogenous too. We wish to make one final point. We promote the idea of a weak presidency, but we also wish to promote a weak presidency in the context of a wider constitutional and political system in which there is a genuine separation of powers and checks and balances. For example, we are not convinced that there are benefits to be gained from replacing a system in which there is a super-president and a weak prime minister by one where there is a weak president and a super-prime minister. This merely shifts the problem. It does not replace it. And it may characterise what is about to happen in Armenia. Let us express this point differently. We are not opposed to weak but directly elected presidents. As we argue in our introduction to the volume, semi-presidential constitutions are consistent with both very strong and very weak presidents. We prefer the latter. Let us make the same point in another way. We do not believe that parliamentarism with a weak but indirectly elected president is necessarily a guarantee of better political performance if there are no checks on the prime minister in the parliamentary system. To sum up, we are happy to recommend a directly elected president as long as the president’s powers are weak and are exercised in the context of a system in which power is not concentrated in any political actor. This entry was posted in Armenia, Azerbaijan, Caucasus, Central Asia, Georgia, Kazakhstan, Kyrgyzstan, Semi-presidentialism and tagged Caucasus, Central Asia, semi-presidentialism on June 1, 2016 by Robert Elgie. In the aftermath of the “4 Days War” in Nagorno-Karabakh, the Armenian President, Serzh Sarkisian, declared that, in the case of resumed hostilities, his country would recognize the de facto Republic of Nagorno-Karabakh. One month after, a bill titled “On recognition of Republic Artsakh [Nagorno-Karabakh]”, submitted by two opposition MPs, was approved by the Government and presented to the Parliament for discussion. Nevertheless, both political and media actors have bee equivocal about the suitability of the unilateral recognition of Nagorno-Karabakh. From the Azerbaijani side, it is remarkable the limited attention this event was given. In particular, President Ilham Aliyev, who in the past adopted a warmongering narrative, has not commented on this specific development. Following the cease fire in 1994, Nagorno-Karabakh consolidated itself as a de facto state after a bloody war between Armenia and Azerbaijan. Currently, its statehood remains completely unrecognized given that not even its Armenian patron has taken a formal stance in that direction. This choice has been mostly motivated by the commitment not to spoil the mediation effort of the Minsk Group, which is the OSCE group in charge of facilitating a resolution of the stalemate. For example, speaking to the representatives of the mass media in March 2013 President Sarkisian declared: “What will the citizens of NK and Armenia gain today if independence of NKR is recognized? (…) How dangerous will such a decision for the people of Nagorno-Karabakh be? (…) It means a slap in the face not only for the other side but also for the Co­chairs [of the Minsk Group]”. In brief, it is argued that recognizing Nagorno-Karabak would lead only to new troubles in the absence of tangible benefits. This position was widely shared by the Armenian political spectrum as demonstrated by the rejection of the various pro-recognition bills proposed by “Heritage Party”. However, in 2010 International Crisis Group pointed out that, in the case of resumption of full-scale hostilities, the de facto state may be recognized and a pact of mutual defense with Nagorno-Karabakh may be signed. After April 2016, political actors had to deal seriously with these issues. “If military actions were to continue and escalate on a larger scale, the Republic of Armenia would recognize the independence of Nagorno Karabakh”. With these words, on the 4th of April, President Sarkisian hinted at the possibility of formal recognition. However, after the end of the armed hostilities, no further declaration in this direction came from the Presidential office. By contrast, some actors in the opposition considered the time ripe to bring forward this issue again. = That translated into a bill called “On recognition of Republic Artsakh,” proposed by the opposition PMs Zaruhi Postanjyan (Heritage party) and Hrant Bagratyan (Armenian National Congress). On the 5th of May the Armenian government approved it for parliamentary discussion within 30 days. As expected, this triggered a debate not only in Armenia but also abroad. Although most external powers did not openly comment on this decision, Russian officials manifested their opposition. Remarkably, at the beginning of May, the Russian Minister of Foreign Affairs, Lavrov, spoke against unilateral recognition. It is reasonable to say that the Russian stance may have influenced the public debate. At the moment, politicians from both the government and the opposition are adopting a prudent attitude. Prime Minister Abrahamian said that, with Azerbaijan respecting the cease-fire, there is no need to rush into recognition. Similarly, the Minister of Foreign Affairs, Edward Nalbandian, reassured external powers saying that: “The conclusion of the Government does not imply an endorsement of that initiative. (… ) [In that event], the President of the Republic of Armenia, would inform his partners in advance and, first of all, the heads of the OSCE Minsk Group Co-Chair countries”. This moderate position is also shared by the bulk of the opposition. Armen Rustamyan, the leader of the ARF faction in parliament, declared that recognition should not be unilateral, but instead in line with the Minsk Framework. Similarly, a few days previously, former President Ter-Petrosyan stated that a premature recognition of Karabakh would irremediably jeopardize the effort of the Minsk group. Turning to the media debate, most Armenian newspapers agree that an early recognition would harm the interest and the long-terms goals of the country. Given the sensitivity of the issue, Baku may be expected to react to such a move. However, it = composed behaviour adopted by Azerbaijan has taken observers by surprise. This is in striking contrast to the previously assertive narrative. Whereas in the past President Aliyev continuously reaffirmed the military strength of his country and the commitment to the re-conquest of the lost lands, recently his declarations seem more conciliatory and less in favor of resuming hostilities. Consistent with that, the reaction to the possible recognition of Nagorno-Karabakh has remained contained. Hikmet Hajiyev, the Foreign Ministry’s acting spokesperson, declared that: “By recognizing the separatist regime formed in the occupied territories of Azerbaijan, Yerevan will put an end to the Minsk peace process and should this happen, the Minsk Group will possess no negotiating mandate” Thus, no explicit declaration came from the President and the media debate remained limited. Speculating on the reasons behind that, it can be hypothesized that the country, which has been severely hit by the drop in oil prices, may be reconsidering its extra-assertive attitude and narrative of the previous years. The liberation of prominent political prisoners in the past months has already been read in this vein. In sum, even though probably it will not have an immediate follow up, the Armenian debate on the recognition of Nagorno-Karabakh is relevant not only for Yerevan but also for Baku. Thus, the fact that Armenia is acting cautiously makes new attempts of mediation possible. On 16th of May, the two presidents will meet in Vienna even though, given their irreconcilable positions, expectations for a breakthrough run low. “Armenian press say Karabakh recognition matter of time, but not now”, BBC Monitoring Trans Caucasus Unit, May 10, (2016). Russia & CIS General Newswire, “Recognition of Karabakh independence by Yerevan to derail OSCE Minsk group’s mediation efforts – Azerbaijani Foreign Ministry”, May 3, (2016). “Armenian press skeptical about “favorable” outcome of meeting with Azerbaijan”, BBC Monitoring Trans Caucasus Unit, May 14, (2016). This entry was posted in Armenia, Azerbaijan and tagged Armenia, Azerbaijan, Mediation, Nagorno-Karabakh, Recognition on May 16, 2016 by Chiara Loda.